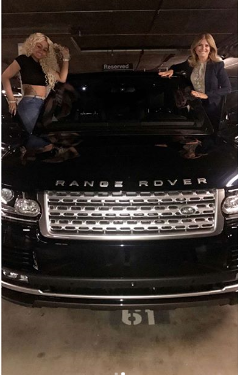 When Blac Chyna and her baby daddy, Rob Kardashian met up in August to finalize custody arrangements for their daughter, Dream Kardashian, Chyna reportedly noticed that Rob attended the meeting in the Black Range Rover she gifted him while they were still dating. 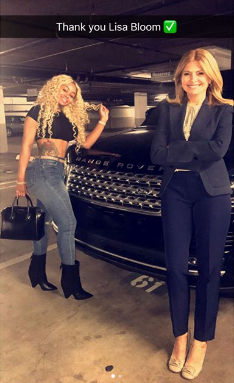 This infuriated Chyna because Rob had taken back the Ferrari and Lamboghini he had leased for her, so she tried to jump into the Range Rover and drive off with it, but her lawyer, Lisa Bloom and her team stopped her from doing so. However, now it looks like Chyna has recovered her Range back from Rob thanks to her lawyer Lisa Bloom.